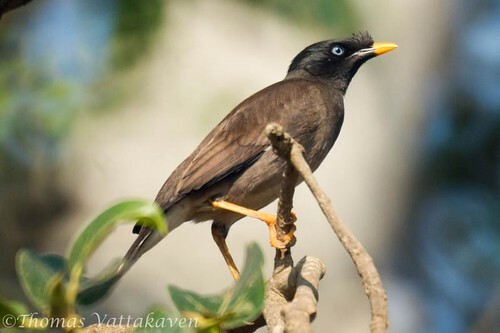 The Jungle Myna, Acridotheres fuscus, is a myna, a member of the starling family. It is typically found in forest and cultivation. They have grey plumage, darker on the head and wings. There are large white wing patches obvious in flight, and a white tail tip. The head has a forehead tuft. The bill and strong legs are bright yellow, and there is no bare skin around eye. The sexes are similar, but juveniles are browner. The southern Indian race has a blue iris. 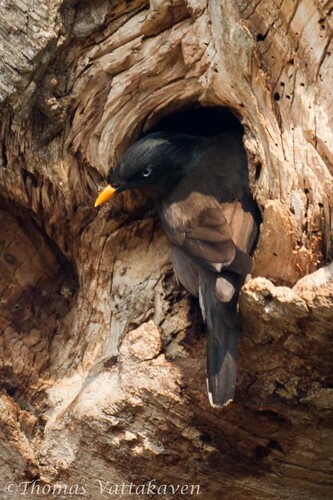 The Jungle Myna builds its nest in a hole. 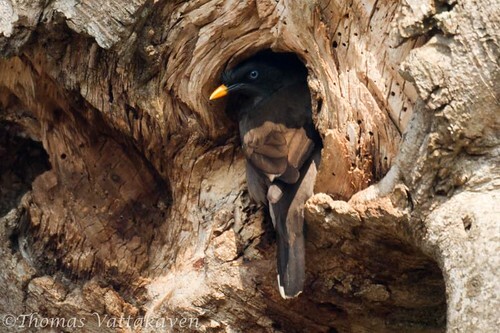 This image was taken near Anekal Lake and the bird appeared to be excavating the hole in which to nest. In southern India, breeding occurs during the months between February to May, while in the northern regions, April to June-July. 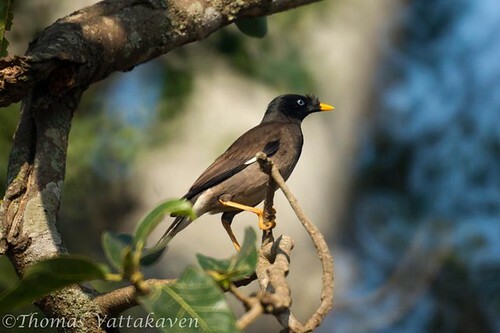 Mynas are scavengers with a varied omnivorous diet consisting of insects, fruit, seeds and nectar. 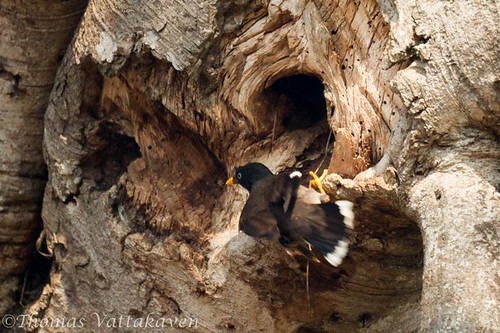 Mynas also devour insect pests on sheep and cattle, such as ticks. However, it is perceived as a problem to agricultural sectors dependant on crops.